The trailhead has water, bathrooms, etc. The trail starts off shared with other short walking trails and such, then quickly becomes a steep and rocky ascent. The climb is challenging with the steepness and rock gardens all along the path. Other linked trails are the Tom's Thumb trail and the Wingate Pass and Bell Pass trails. Review: Perhaps this Trail (as well as Wingate Pass) has changed significantly over time with erosion, there appears to be little to no sign of maintenance. As a result, these trails appear to me to have become (very heavily used) hiking trails. Unless you are an elite uphill technical rider, I'd stay away as a mountain biker. Try it if you like, but a miserable experience is a real possibility. 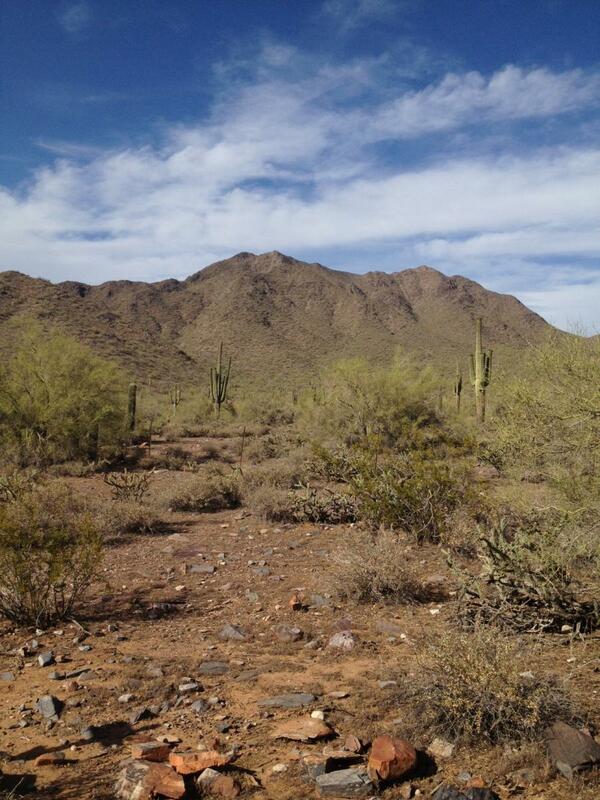 So many wonderful Phoenix area trails, including gobs of technical ones, why bother with this?! Gateway Loop MTB Trail 2.50 out of 5 based on 2 ratings. 2 user reviews.